SenseIT IOT by Domain combines your ERP shipment information with data from IOT-enabled sensors to provide complete asset tracking in real-time. Without such a reliable tracking system, you could spend a lot of manual time trying to find the source of a problem while dozens (or thousands) of your products are damaged or lost. Domain Consulting Group, located in Wyomissing and Philadelphia, PA, is an SAP consulting company that helps businesses reduce their technology costs and achieve faster time-to-value with systems that can be implemented quickly and are straightforward to maintain. We work with SAP to deliver best-in-class solutions for your business that will help you achieve greater efficiency and improve your bottom line. If you have considered an ERP solution, you should select one like SAP Business One to eliminate operational complexity and provide the greatest return on your investment. The Internet of Things (IoT) refers to the billions of physical devices around the globe that are now connected to the internet, gathering and sharing data. The technology has helped inspire revolutionary changes in many sectors, such as manufacturing and distribution, providing smarter actionable business analytics for smarter business decision-making. 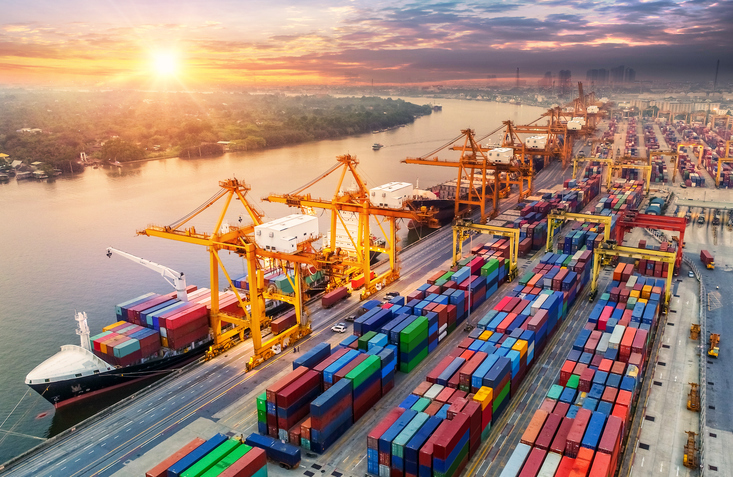 Thanks to inexpensive sensors, affordable connectivity, scalable cloud platforms, and the vast processing and storage capabilities of big data platforms, the IoT offers innovative solutions for supply chain operations, with processes and applications never thought possible. Businesses can now view, in real time, the locations and conditions of assets and cargo, even in places where RFID technology infrastructure is not feasible. SenseIT IoT by Domain utilizes innovative sensors to track your shipments from end-to-end. When integrated with SAP HANA, the system provides you with a birds-eye view of your field assets and enables you to configure alerts, generate reports, view trends, and powers real-time insights across your business. In addition to condition-monitoring of products, SenseIT IoT provides information about where in the world your shipments are at any given time, when they will be delivered to the destination based upon current GPS locations, and how the shipments were handled by your carrier. Introduce your business to the benefits of IoT-enabled asset tracking with SenseIT IoT by Domain. Call Domain Consulting Group today at (610) 374-7644 ext. 7005 for more information and a free consultation.